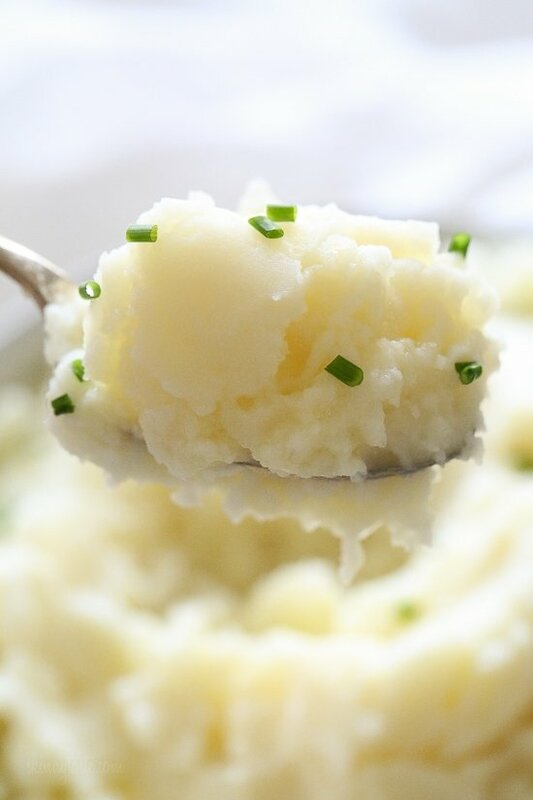 These creamy Mashed Potatoes come out perfect in the Instant Pot, and are made in a fraction of the time it takes to make on the stove! Is their anything more comforting and delicious than mashed potatoes? Yes, low-carb cauliflower mash is great, but once in a while my family wants the real thing. But most recipes are loaded with fat and calories! I’ve seen recipes with whole sticks of butter plus cream or half and half. You don’t need all the fat to make them taste good. My lighter version is made with russet potatoes, low fat buttermilk, sour cream and just enough butter at the end to make them yummy. 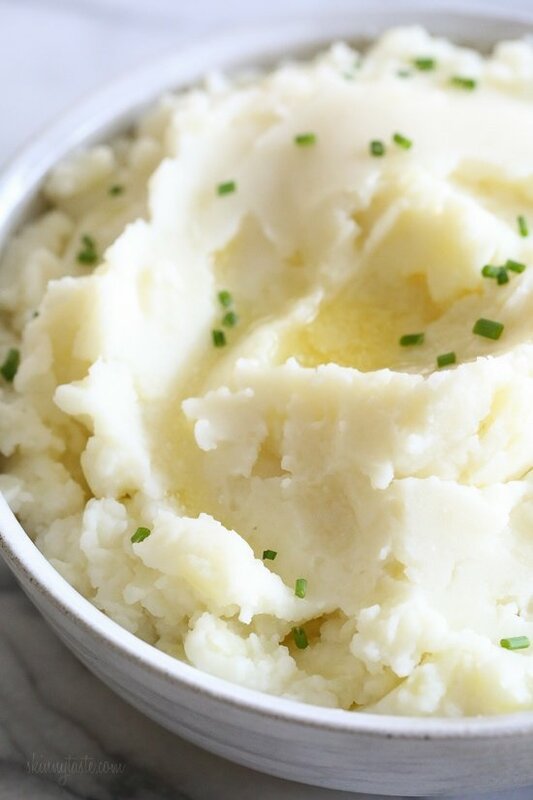 Why make mashed potatoes in your Instant Pot? Because they take just ten minutes to cook, and once you mash them they are perfect left on warm for an hour or two if you have company and want to have them ready ahead. If you don’t know what an Instant Pot is, it’s a multi-cooker that does the job of a slow cooker, electric pressure cooker, rice cooker, steamer, yogurt maker, sauté/browning pan, and warming pot all in one. If you’re debating if you need one in your life, my answer is YES! 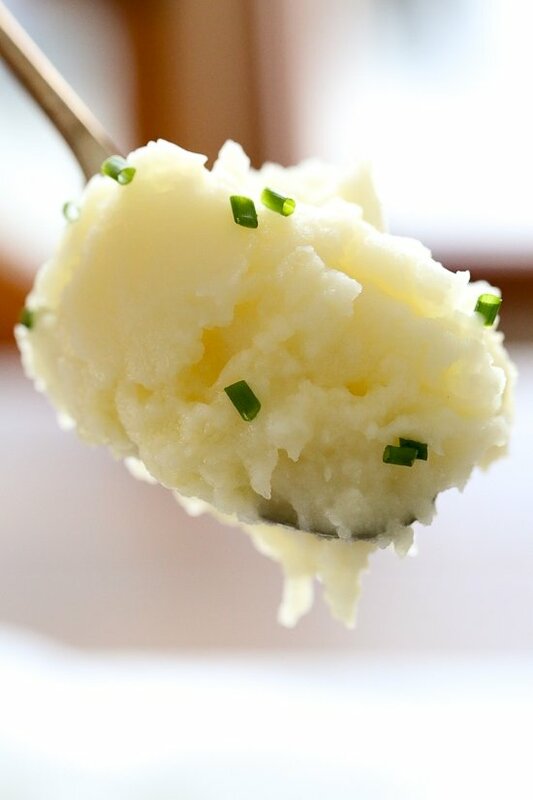 For the best, fluffiest mashed potatoes, use a masher or potato ricer. Don’t use a blender or immersion blender, they will end up sticky like glue. The best potatoes for making mashed potatoes are starchier potatoes like Russet or Yukon gold. Stay away from waxy potatoes such as red. For variations you can swap the buttermilk for milk, some people also like to swap sour cream with yogurt which has a little more tang. 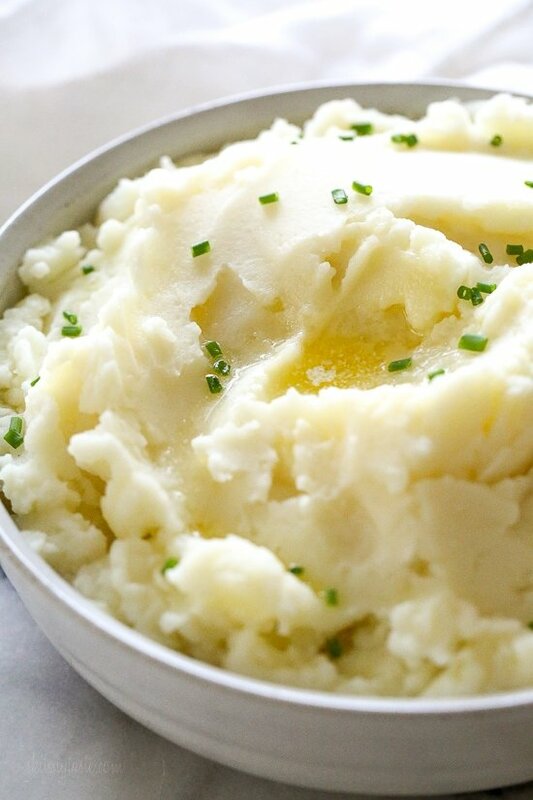 Make garlic mashed potatoes by adding roasted garlic at the end. To make them on the stove cover the potatoes with water, bring to a boil and cover, simmer low until a sharp knife can easily be inserted through the potato. Leftover mashed potatoes can be stored in an airtight container in the refrigerator for up to 5 days. Add potatoes to the instant pot and pour enough water to just cover, season with salt. Cover and cook on high pressure 10 minutes, quick release to check the potatoes are soft. They are done when a sharp knife can easily be inserted through the potato. Drain and reserve 1/2 cup of the water, add the butter, sour cream and buttermilk, salt and black pepper and mash with a potato masher. Adjust salt to taste and keep on warm until ready to serve. It’s best to eat right away, but if you’re eating them later and the potatoes get dry, add the reserved water to loosen them. Serve garnished with chopped chives or parsley.